I arrived in Adelaide on Sunday to enjoy the annual Australian festival of cycling. The first thing I did was head for the tour village to join a women’s only ride led by Tina McCarthy from Melbourne. Tina runs her own business called Wheel Women and she’s one of the most enthusiastic advocates of women cycling I’ve ever met. 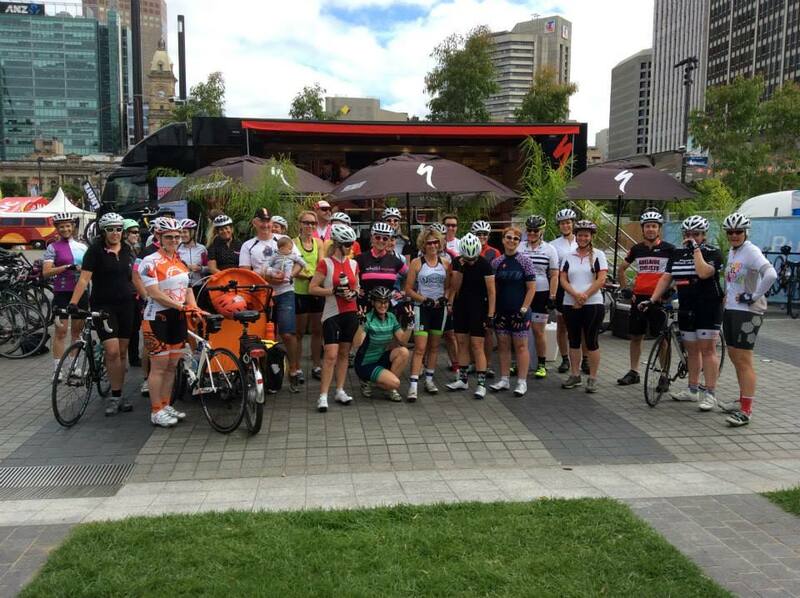 So when Tina decided to visit Adelaide she naturally thought of organising a ride. She used social media to promote it and within a couple of days of announcing it she had 50 women signed up. It was a 30 km ride from the tour village, down to Glenelg, along the coast to West Beach and then along the Torrens River bike path back to the CBD. My friend Shiona and I went along to help out as ride leaders and to encourage and support other riders. Wheel Women has recently signed a partnership deal with my favourite bike manufacturer Specialized so the ride started from the Specialized stand at the tour village, plus Laura & Emily from Specialized also came along as ride leaders/mentors. On the day there were about 30 women who rolled out from the tour village and we picked up a few extras along the way. The group divided into two distinct speeds – moderate and slow which seemed to work for most people. I applaud you Tina. Well done. Keep up the great work.